L.E.R. 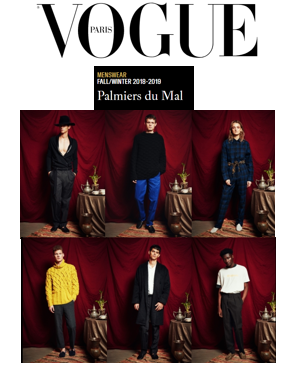 PR’s Fashion PR Team is excited to see Palmiers du Mal featured in Vogue Paris. Images of the Fall/Winter 2018 collection appeared on the website.